Wanna know More about the Star of Bethlehem? For years I’ve wondered about the Star of Bethlehem. What about it would really cause the “wise men” to uproot their lives and go on a dangerous and expensive journey? I mean, it’s just a star, right? Or why would King Herod virtually start a war, killing innocent children, over a silly star. The Bible actually teaches that all of Jerusalem was “disturbed” by the news of the star (Mt. 2). Of course, if you were at our Christmas services, you heard that the Star of Bethlehem was far more than just a “star.” Rather, it was an amazing set of prophecies being fulfilled (by a God who can control the stars). Literally, astronomers believe it was Jupiter (the King Planet) circling the star “Regulus” (known as the King star), in the constellation “The Lion”– (the symbol of the tribe of Judah)… and then Jupiter literally passed down through “Virgo” (the virgin)… Is this story sounding familiar at all? And these are all astrological facts that can be verified by math-based software. You see, the Star of Bethlehem was a poetic fulfillment of dozens of prophecies — The king, coming “through a virgin”…the “lion” out of the tribe of Judah. Scholars have mocked the Biblical account for decades. After all, “stars can’t stop”. Yet, it’s amazing how a simple archaeo-astronomy software program can comfirm that the “unlikely” is indeed a fact. Again, this is just the tip of the iceberg. And all of this information came from the amazing documentary, “The Star of Bethlehem.” Check it out for yourself. It’s a “must-buy” documentary done by a brilliant lawyer, who really took his time to do the research. Or go to BethlehemStar.net for details. It’s worth it! Also, FYI, you may remember that I also talked about the book “Heaven is for Real” in my Christmas message. For those of you wanting to buy the book (and I recommend you do), just check out: http://heavenisforreal.net or go to Amazon Here. Besides, is well-written. I’m actually re-reading it with my kids. Love you guys! You’re the best! 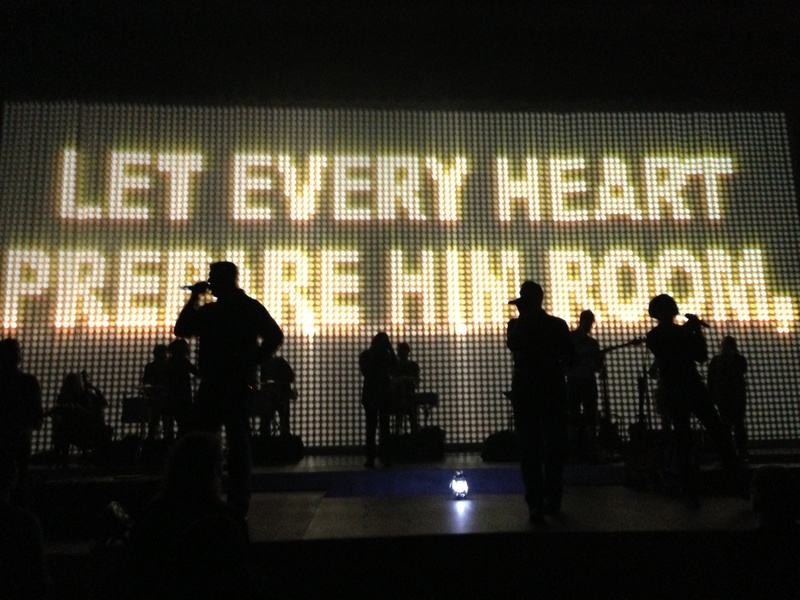 P.s., Hat’s off to our media and worship teams for all their hard work on the Christmas service. It’s rather amazing that we were able to pull off a Christmas event like that with a totally new team in soooo little time. Besides, we broke a new attendance record by several hundred people (5300?- Or something close?!). Of course, I’m having a Holy hangover from doing all of those services. And I’m working out twice a day to get all the stress hormones out of my system. And most of our staff are probably feeling the same… So, if you liked our service, let them know! They worked their tails off!